Bangalore/Delhi, INDIA (September 28, 2015): Acer India, one of the largest PC vendors in the country, announced the launch of its exclusive Acer Malls at Nehru Place in Delhi and Hubli in Karnataka. The outlets will showcase the entire range of newly launched Acer products across Notebooks, Desktops, Tablets, Monitors, Projectors and Tablets. This Acer Mall is the first exclusive brand store of Acer at Hubli and fourth exclusive brand store in Delhi. The Malls are part of a new wave of Acer Malls imbibed with a new brand philosophy and path breaking retail design concept. Opening of these stores is a stepping stone in the course of Acer’s rapidly expanding retail presence, aimed at opening a series of new Acer retail outlets across the country by the end of 2015 adding to the swelling number of over 3000 retail outlets across the country where Acer devices are available. Acer is planning to launch their next exclusive Acer Mall at Belgaum, Gurgaon, Faridabad, Chandigarh, Dehradun and Meerut in coming weeks. 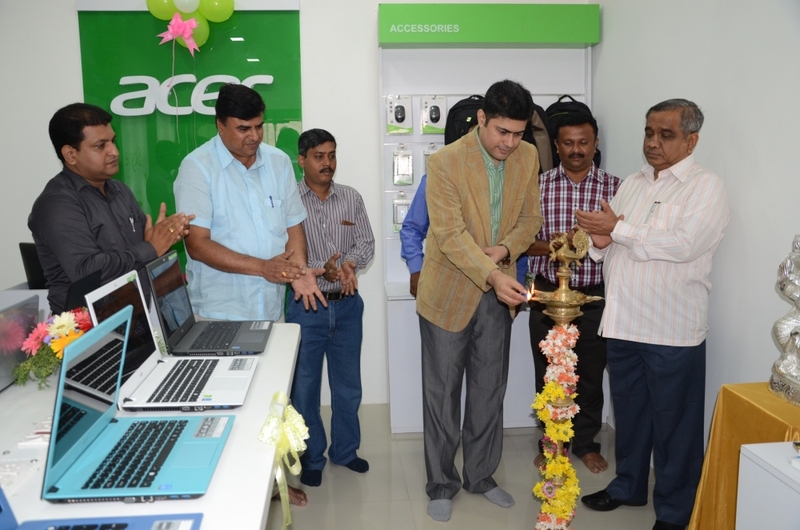 The Mall was inaugurated by Dr.Vijay Sankeshwar, MLC, Government of Karnataka and Chairman & Managing Director VRL Logistics Ltd. which is also a satisfied customer of Acer products. Acer will showcase its range of high end notebooks such as the Aspire R13 and Aspire V Nitro Gaming notebooks, which have many international awards under their belt such as the Red Dot Design Awards 2015 and 2015 Taiwan Excellence Awards. At the mall, consumers can obtain detailed information on new products launched, enjoy product demos and make an informed buying decision with the help of highly trained Acer representatives. The stores also have a rich expression of Acer brand philosophy with the right combinations of brand colors, fonts, layouts etc. and immersive lighting, which together contribute to a wonderful brand experience. Acer has invested considerable amount of time and energy in understanding the art and science of consumer retail experience which reflects in the layouts of these new malls which have the products displayed at the consumer’s eye level making it easier for eyeball movement. The new design takes into consideration various aspects of retail science, which for the first time ever, is being integrated into the IT hardware shopping experience.